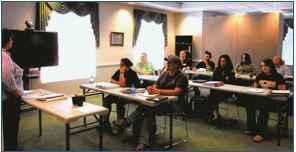 City National Bank has provided a beautiful space for the One Room University on the second floor of its Marlinton Branch. The 801 3rd Avenue entrance gives separate access to the facility which allows for an operating schedule outside the bank’s normal hours. Stop in at the One Room University and we’ll help you get your admission application filled out and processed today. High School Transcripts (must be an official copy from the high school in a sealed envelope). College Transcripts—if applicable (must be an official copy from the Registrar’s Office in a sealed envelope). Most colleges allow you to order transcripts online. Go to your institution’s website. Find Registrar and click on the “order transcript”. If you have not taken the ACT, you may take the Accuplacer placement test at the One Room University. First test is free. Please call for an appointment, 304-799-4950. Online Orientation must be completed before registering. What is the One Room University (ORU)? The ORU is a unique educational environment allowing students to take college classes in Pocahontas County. 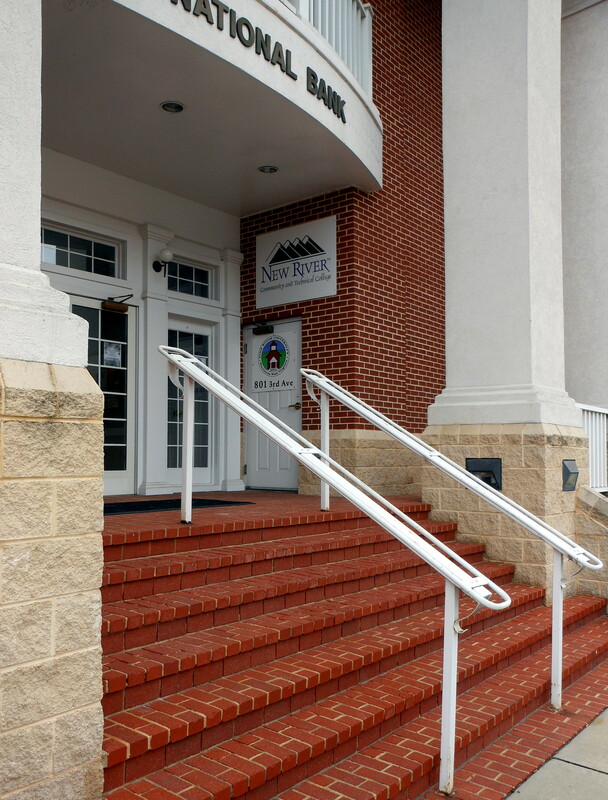 Students can enroll and attend classes at New River Community and Technical College from the ORU located on the second floor of City National Bank in Marlinton. 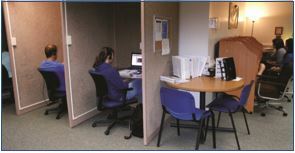 Special study carrels connect students with IVN classrooms at the Greenbrier Valley Campus and additional online learning opportunities. There is also classroom space available for traditional instruction. 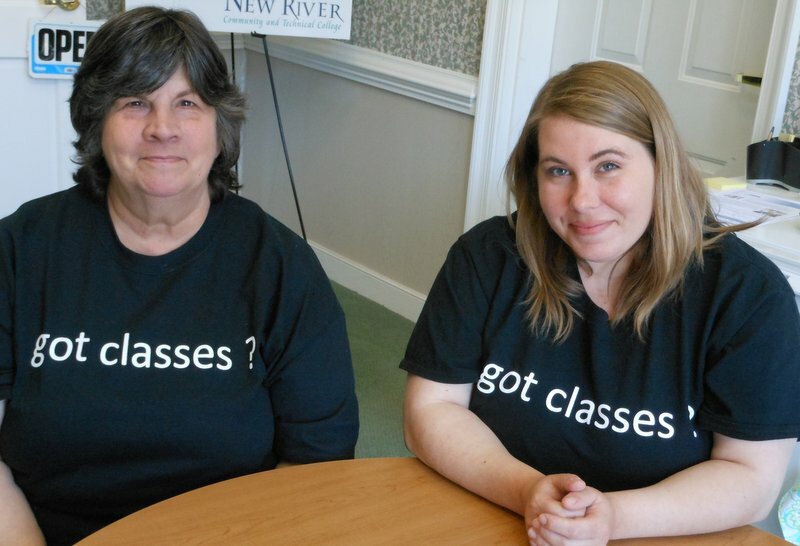 Staff members are on site to monitor classes, administer testing, and help students with the admission, financial aid, and registration processes. With headset, mic, and camera, students can sit at a laptop in a study carrel in Marlinton, interacting with the teacher and peers in a distant classroom in real time. Separate from the rest of the space, a classroom is available for traditional instruction as well as an IVN large screen. 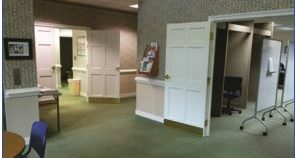 The One Room University is not just one room, but an open space with designated areas for studying, traditional, and IVN classes, administration, and meetings. 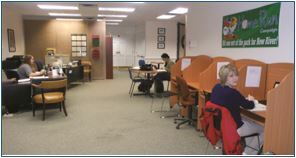 Students are able to work on homework assignments or online courses in additional laptop carrels. New River CTC provides the laptop computers, programming, and technology for the ORU.